Cash-starved Jet Airways plans to raise about Rs 2,500 crore through a rights issue. Its lenders are also looking at a debt-to-equity conversion. While lenders may convert Rs 1,000 crore of debt into equity, they will also participate in the equity infusion through a rights issue as part of the deal. 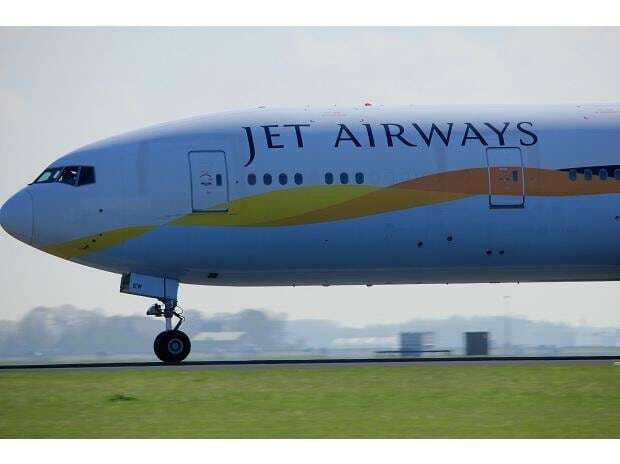 Additionally, promoter Naresh Goyal and Etihad Airways, which owns a 24 per cent stake in the airline, will infuse around Rs 2,000 crore into the airline, sources aware of the development said. Lenders are expected to participate in a rights issue to raise capital. Government-owned infrastructure fund National Infrastructure Investment Fund (NIIF) is likely to buy a 19 per cent stake for Rs 1,500 crore. Along with the NIIF, banks will own a 51 per cent stake in the company. The NIIF was approached by lenders after Etihad Airways refused to increase its stake beyond 25 per cent without an exemption from open offer. The Securities and Exchange Board of India (Sebi) did not agree to the idea. NIIF Chief Executive Officer Sujoy Bose did not respond to multiple queries about the matter. Sources said Etihad Airways would infuse around Rs 1,450 crore to maintain its stake at 24 per cent, promoter Naresh Goyal would bring in Rs 550 crore to hold around 21 to 22 per cent. Goyal has already infused Rs 250 crore into the airline. “At the first stage of the resolution plan, lenders have agreed to convert around Rs 1,000 crore of debt into equity. In the second stage, there will be a rights issue of around Rs 2,500 crore in which banks will participate. This process is subject to approval from the promoter, lenders and Etihad Airways. It may take around two months to close,” said an official of a state-owned lender. Another source said the SBI-led consortium would release around Rs 550 crore in the next 15 days to bridge the immediate funding gap. He said: “The draft resolution plan has been approved by the Jet board and needs approval of the boards of banks and Etihad. Besides, the approval of various regulatory authorities is also required. This would take a few months. There is an interim funding requirement of Rs 500-1,000 crore. Banks will make an assessment and lend the fund against security”. The airline has a funding gap of Rs 8,500 crore. “There will be equity infusion, sale or sale and leaseback, debt-to-equity conversion, and refinancing of aircraft. A combination of all these will help to reduce the debt of the company. But, I will be unable to give you the numbers right now,” said Amit Agarwal, chief financial officer at Jet Airways, on Friday. On Thursday, the company’s board approved a draft resolution plan, which comprises conversion of debt into 110.4 million shares. Jet had a gross debt of Rs 7,654 crore as of December-end, comprising aircraft loans worth Rs 1,700 crore. About 60 per cent of the loans are dollar denominated. Jet has called an extraordinary general meeting next week to secure shareholders’ nod for the issue of 110.4 million shares to lenders.